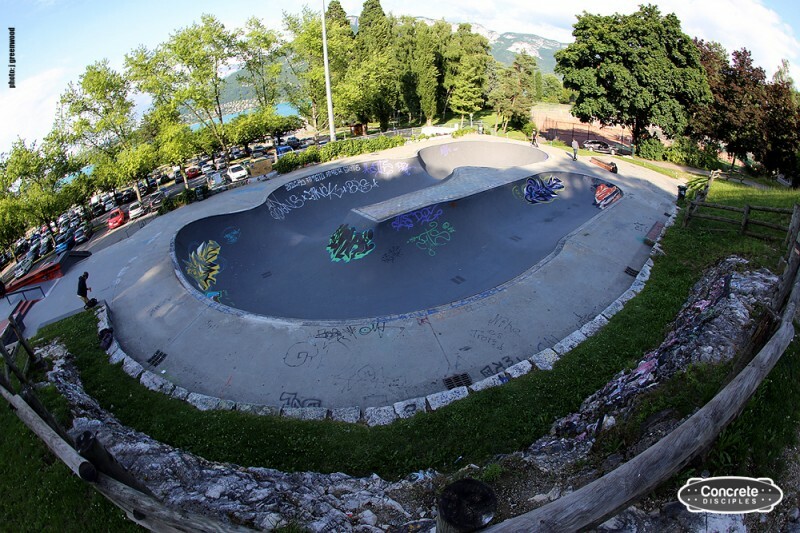 The skatepark in Annecy is right on the shore of Lake Annecy just outside the town on the N508. When you drive south out of town on this road and you see a Mac Donalds you have gone too far. 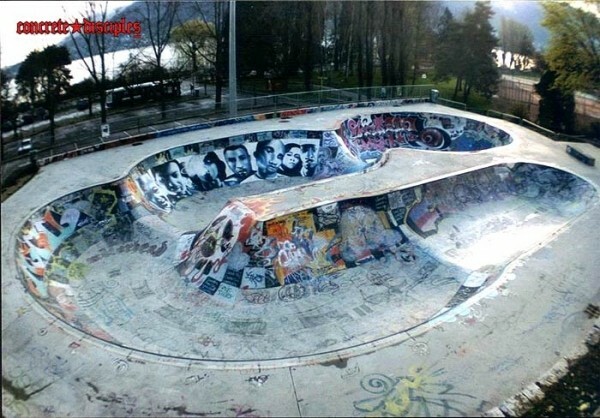 Skatepark is on the opposite side of the road as the lake and a little bit higher. There is a big parking in front of it. 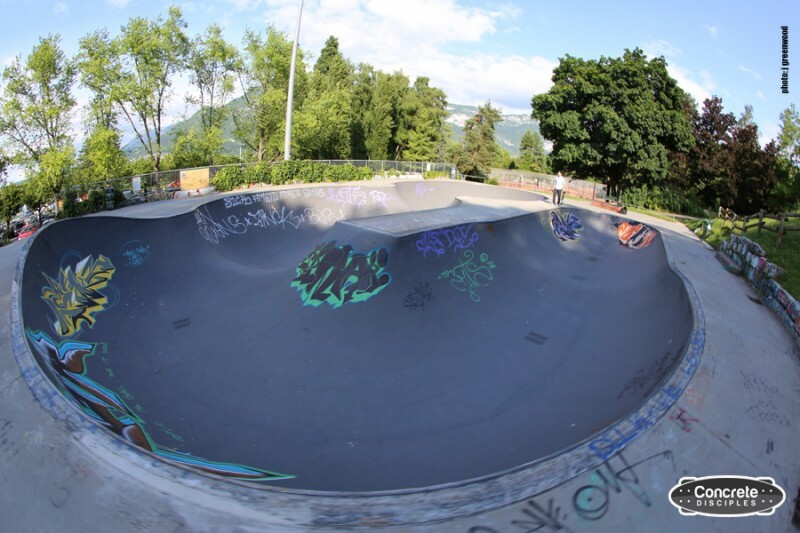 A Marseille style bowl with a miniramp section that runs like a horseshoe into 2 deeper sections. Near the shore of Lake Annecy. 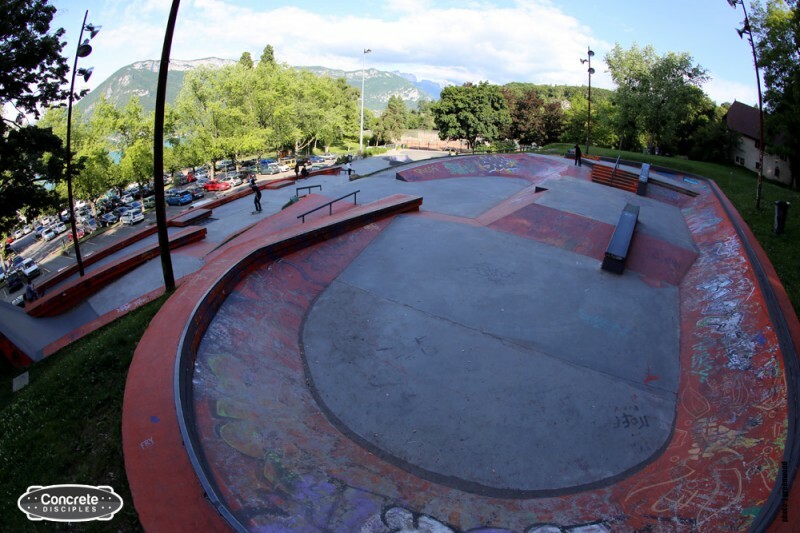 I checked out Annecy Skatepark a few weeks ago. 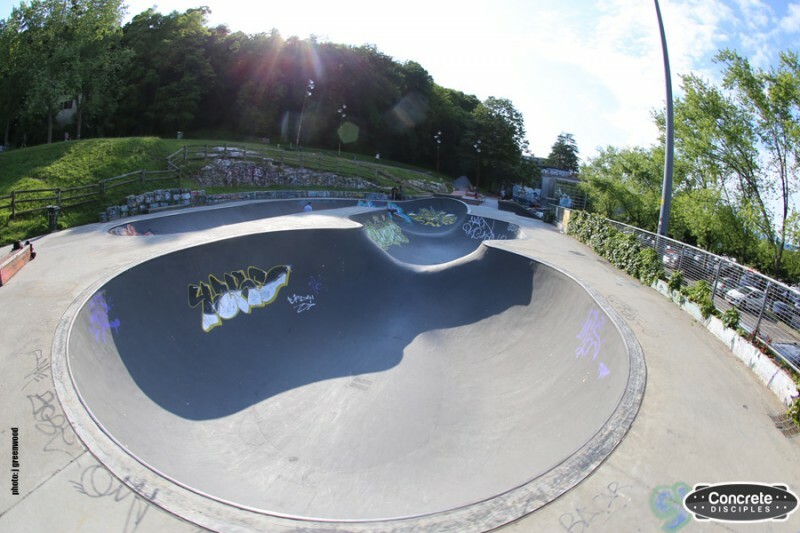 I found the bowl to be kinda fun, but really rough so bring soft wheels. The waterfall into the big bowl is kinda lame to ride over. 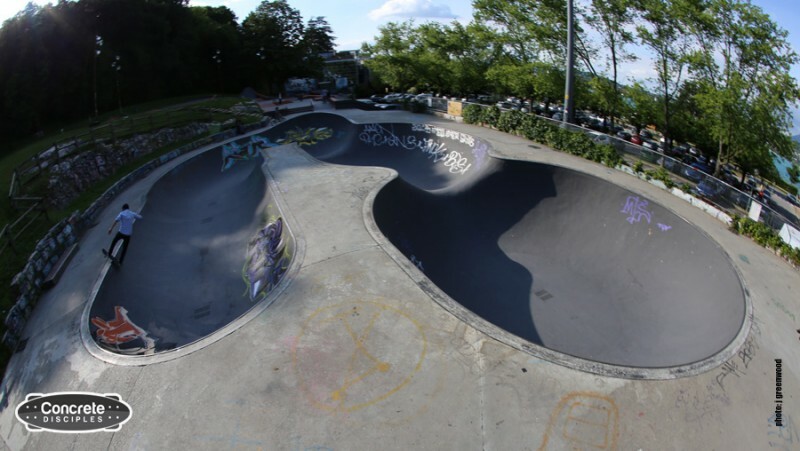 The street section goes back and forth down the hill to the bowl. There is lots of good stuff in it. 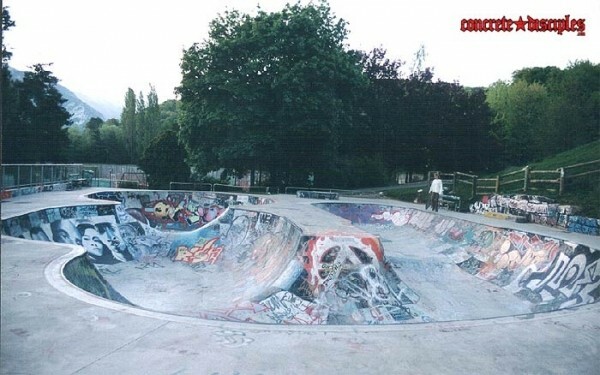 Banks, Steps, ledges, nothing really large but its really good.